Dave Ramsey calls paying off debts smallest to largest as the “snowball effect,” in which you see debts slowly getting paid off, you start getting more excited and more motivated to keep paying more debts off with fire-focus. This “snowball effect,” can turn the opposite way as well. 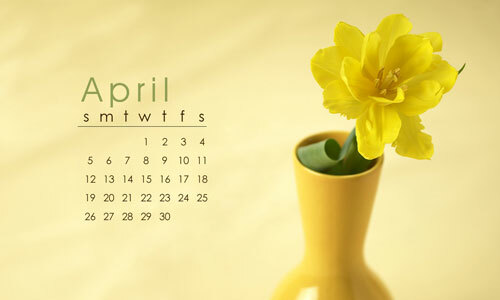 …it’s been a continuation of March, and I can’t even begin to say how difficult it has been to post anything on here. It’s not that I’ve not had much to say, it’s just that I have felt it almost impossible to finish any coherent thoughts. I would sit to write, and then get distracted. It didn’t help that Kim was away doing the Orange Conference, because by the end of the day I was completely exhausted. It happens, but I hope as a “creative” it doesn’t last much longer, my goal list is suffering because of it. Negative, ghostrider. For the month of April, I published a total of 9, and 1 of them was just a re-post from my lovely bride, so I don’t think that really counts. 8. A total of 8. Woop dee freakin do. Yes! Dustin added another tax exemption to his family, so in being a true e-brother I jumped at the opportunity to guest post for him. Thanks man! 39 in feedburner and counting. Only 4 added this month, but I think that had something to do with the amount of posts (8). Still going in a positive direction. Saweetness. I’m just going to concentrate on writing again, I’ll get to the goals a bit later. April. You came, you went. Glad to see you go. May? You and I have a lot to talk about, I can’t wait to share. How did y’all do in April? Awesome stats! I did really well for April. I saw that, awesome! How was April compared to previous months? You’re welcome, bro man. Keep at it. You’re doin’ some good stuff! Some months are harder to get through than others. May is going to be awesome for you, Ben! Dude, you are doing an excellent job. Keep at it man. This last month has been stupid busy. Still trying to get into a routine. Dude, you are like a crack-cocaine seller. You give us some good stuff, it gets us all fired up and then you disappear with the goods. You leave us shivering and sweaty and cold turkey. Bring the goods man… bring the goods! *whoa, this gotta be the most bizarre comparison ever. Just came to mind. Sorry about the drug connection thing-a-ma-gig! Ben I love how you share your goals. I have found that often times people are incredibly willing to help you achieve them. A couple years ago I posted a list of goals and it was great to talk to people who wanted to help me accomplish them. Love how people in the blogosphere are so willing to help out. It’s dope, especially the ones who take personal time and go the extra step to help you out. Are you still cranking out any goals? Any new ones? Glad to know I’m not the only one who struggled last month. Thanks for putting quality stuff out here. Cannot wait to read some more of your stuff Ben. Always good bro! Keep on pursuing those goals! Thanks for sharing.